Hugh Berry Scott was born in Preston in 1854, where he became a protégé of the Preston art collector, Richard Newsham. 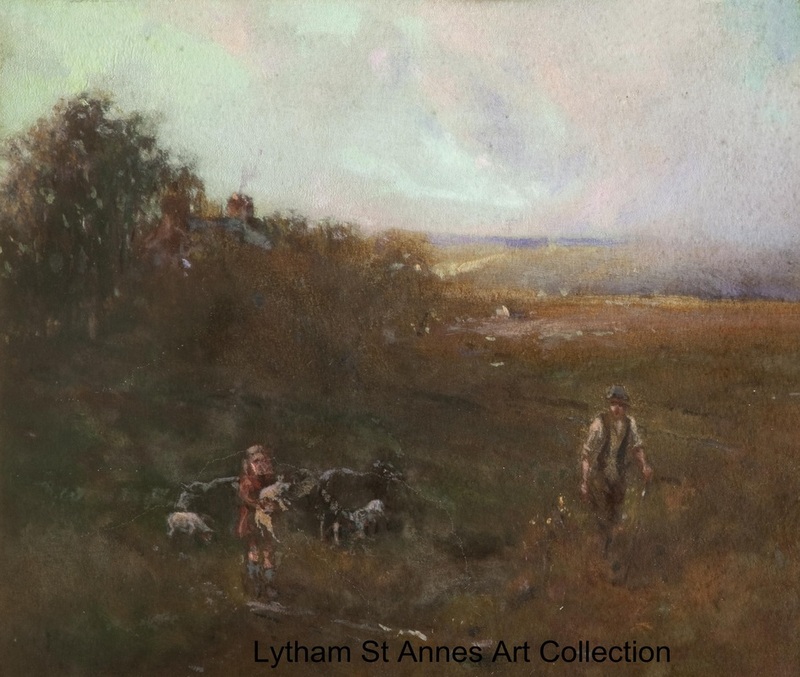 Scott first moved to Warton in around 1880 then, in the 1890s, after the death of his wife he moved with his family of a son and three daughters to a house in Park View Road, Lytham, where he continued to support his family by his art. In the census of 1891 he is described as an artist of landscapes and portraits and also as a sculptor. His son was killed in the Boer War and by 1910 his daughters had left home. He then rented the Old Customs House (1850) on Lytham Green, where he turned the top floor into his studio. It is thought that Dredging on the Ribble was painted there. He continued to live at the Customs House until May 1939. He died in February 1940. The Customs House was demolished in November 1962 to make way for the building of the Land Registry. A photograph of Hugh Berry Scott in his latter years is held in the archive of Lytham Heritage Group. The only other painting by Scott listed in the BBC archive is Our Field of Yellow Plenty (1929) held in the Harris Museum and Art Gallery Collection, Preston.